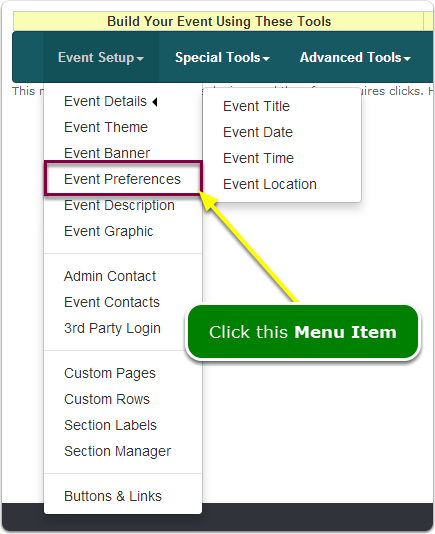 Help Documents - Version 5 Event PreferencesHow do I change the name of the Add New Registrant button? 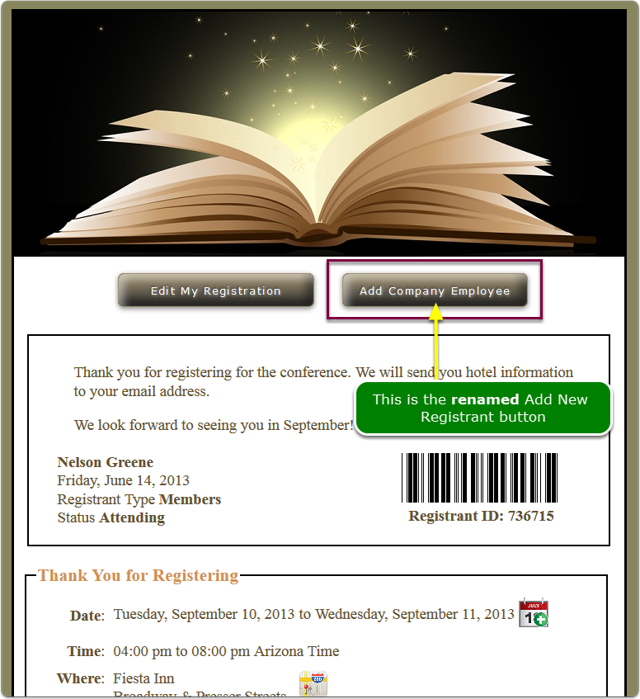 Change the name of the Add New Registrant button. Prev: How do I hide the Add New Registrant button? Next: How do I turn OFF the Registration page password prompt?